Sinroja Motorcycles name in the bike customisation world is now becoming big. First working on Royal Enfield commissioned bikes which were shown in last year Wheels and Wave. 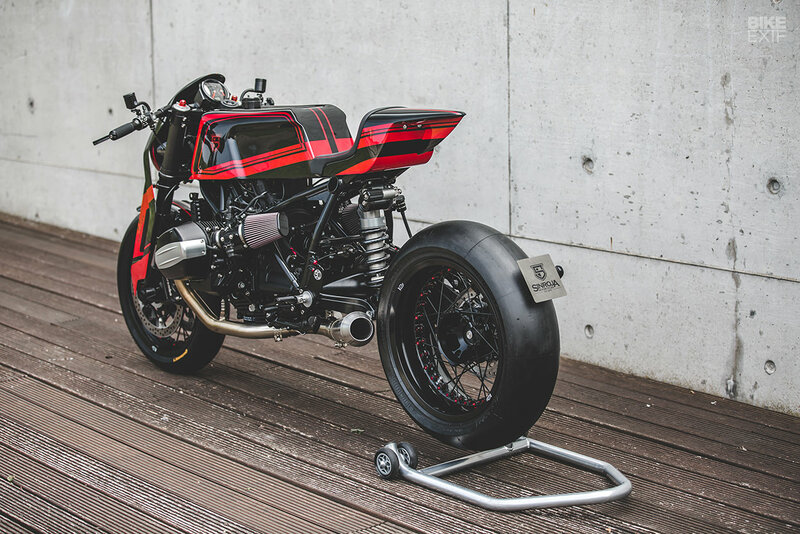 Now this time they came up with the BMW motorrad and TW steel latest part. TW Steel wants Sinroja motorcycles to work on their Son of Time Custom Bike Project. 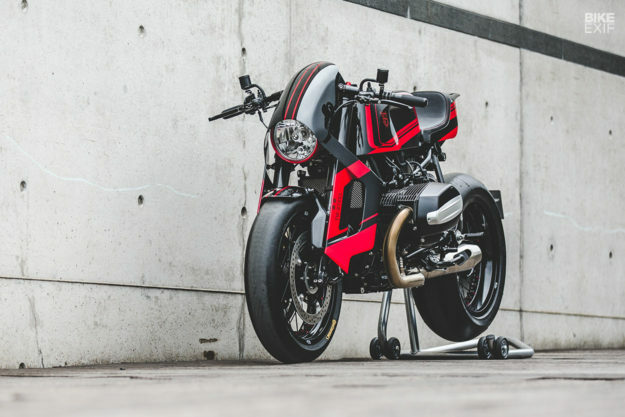 They wanted to work on boxer like BMW R nineT. They got 6 months time for this project but they done this in only 10 weeks. For the modification they ripped of every part of the bike except the engine and frame. Factory air box was replaced by the custom DNA filters for the better air filtering and clear look. For getting the stance, they got Custom Nitron build Rear Shock for raising the rear end by 27mm. The forks and brakes were sent for Flying tiger coating and ceramic coating. The bike features a striking tail with a unique design which also has rear light. But the most difficult part is the front fascia which they wanted something different and out of the box. Headlight cover git inspired by the Assassin's Creed Hoodie. Scoops on the both sides were inspired from the BMW M Cars. The GPS Speedometer is Speedhut custom built with the Techometer integrated. The switchgear is from Motogadget. They use 8 ball custom paint on the bike. The paint scheme draws the kinetic energy.